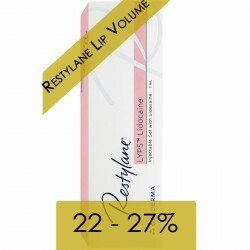 Restylane® Refyne Lidocaine (1x1ml) - Aesthetic Pharma Sp. z o.o. Restylane®has 4 levels of cross-linking, resulting in 4 levels of gel firmness across the range. Particle size or calibration is achieved during the manufacturing process after cross-linking, by sieving the gels through different sizes of mesh. 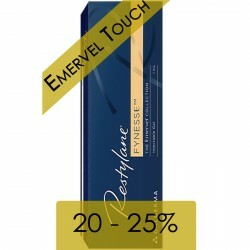 Restylane® Refyne (Emervel® Classic) provides a medium lifting effect and is ideal for moderate lines and wrinkles. It produces natural-looking results for a fresh and youthful appearance. The addition of 0.3% lidocaine ensures comfort during treatment. tear troughs (rings under the eyes). needles: 2 x 30G 1/2" "ultra thin wall"